Welcome to the world of luxury cosmetics! 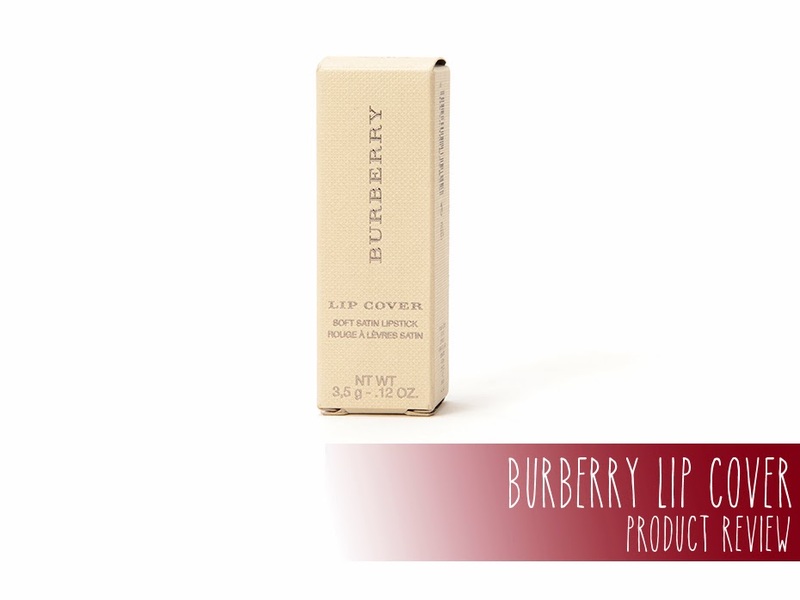 Today, I'm going to be reviewing a high end lipstick for you guys; Burberry Lip Cover in No. 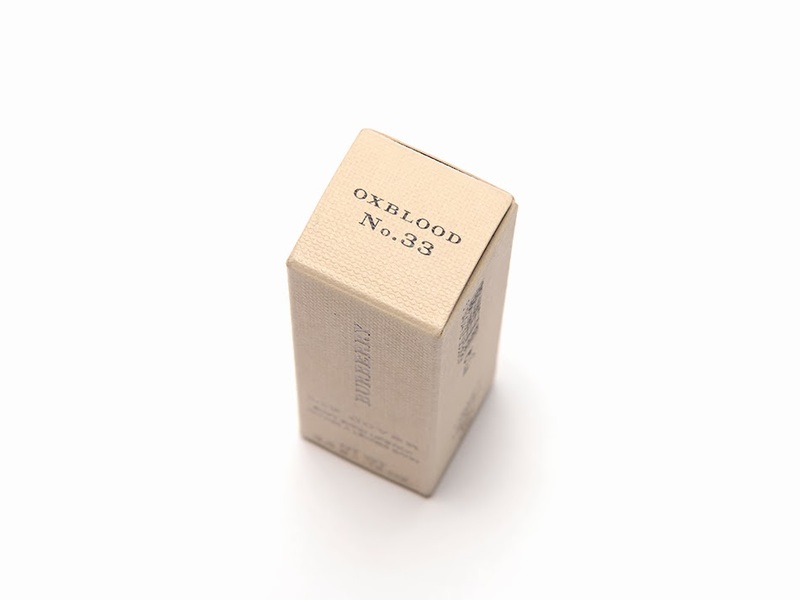 33 Oxblood. I bought this after I saw swatches of it on Reddit and I fell head over heels for the color. Also, burgundy/dark raspberry/wine colored anything is my favorite and Oxblood is probably the coolest way to describe the color (you know, if you're morbid, like me). 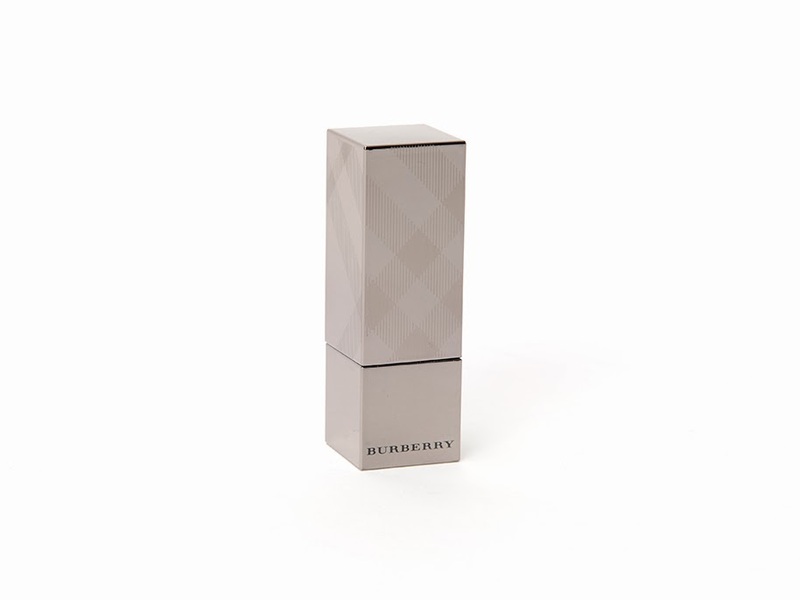 I bought this from Burberry directly since I couldn't seem to find it through any other retailer, but it's fine because they offer free shipping on any purchase. AND, they're so fancy that you have to sign for the package when it comes... which means I had to take a trip to UPS to go pick it up. 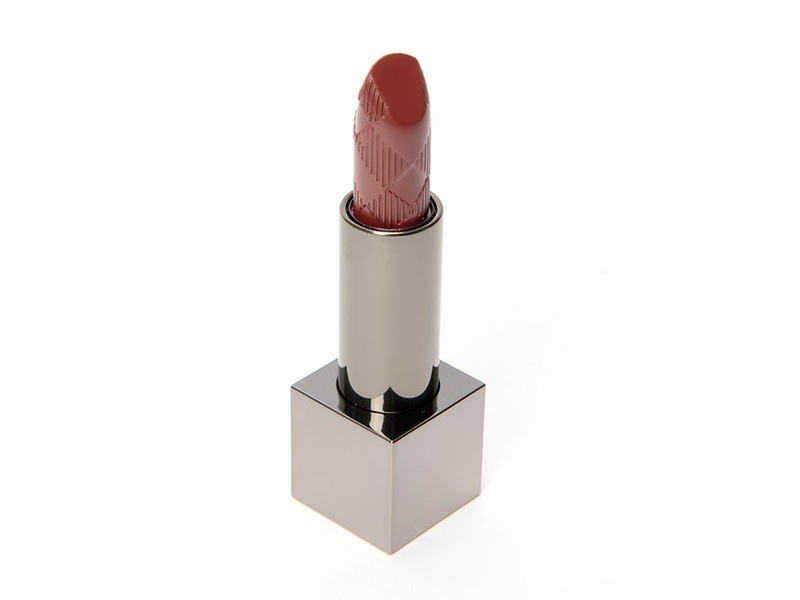 For the high end world, this lipstick isn't that much coming, it comes in at $30, but compared to most mid-end, that's still fairly expensive. For example, Givenchy lipsticks are $36 and Urban Decay lipsticks are $22; so it's smack dab in the middle. As you can see above, the bullet comes with Burberry detailing all over it, but it doesn't affect the usability at all (similar to how the RiRi Hearts MAC lipsticks have her signature on them). The packaging is very prone to fingerprints which is going to drive me insane, but I already knew this since I own a mini Burberry lipstick. One of the coolest things about the packaging though is that if you put the lid on backward or sideways, it flips itself around (with magnets, I assume) so that it's always in the right spot. So, that's all fine and good, but how does it actually perform? So here it is when I first applied it. Do you notice that it looks a bit streaky in the top photo? Yeah, ignore that. My lips get insanely chapped and peel if I don't put Vaseline over them, so I have to put that under any lipstick, regardless of brand. What does that mean? 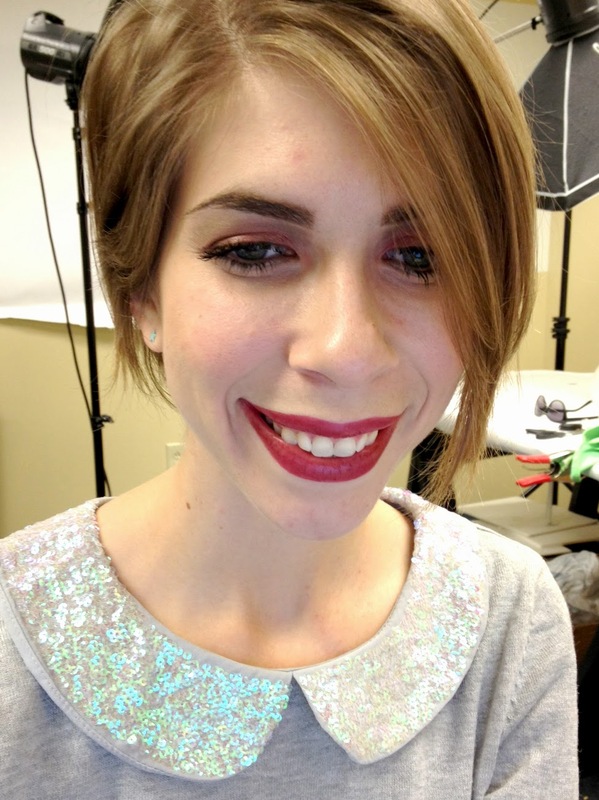 It means when I apply lipsticks, they have a tendency to get streaky until I rub my lips together. So, can you guess when I took that picture? Yeah, before I rubbed my lips together. I want to clarify right now that the lipstick doesn't apply patchy or streaky, it's just my stupid lips and the Vaseline. Aside from all of that, it applies really nicely and very opaquely; no dragging or patchiness. I didn't use a lip liner, because I feel like that's cheating when you are testing out a lipstick. I applied this at about 9:30 a.m. before I came into work. And here it is at 3:00 p.m. after eating two Special K bars, an applesauce, a sandwich, a string cheese, a granola bar and drinking water (although, the water does come out of a Camelbak). I think you can see the the color has not faded much at all after a lot of food and 5 1/2 hours of wear. In fact, for all of that activity, it looks pretty damn good. 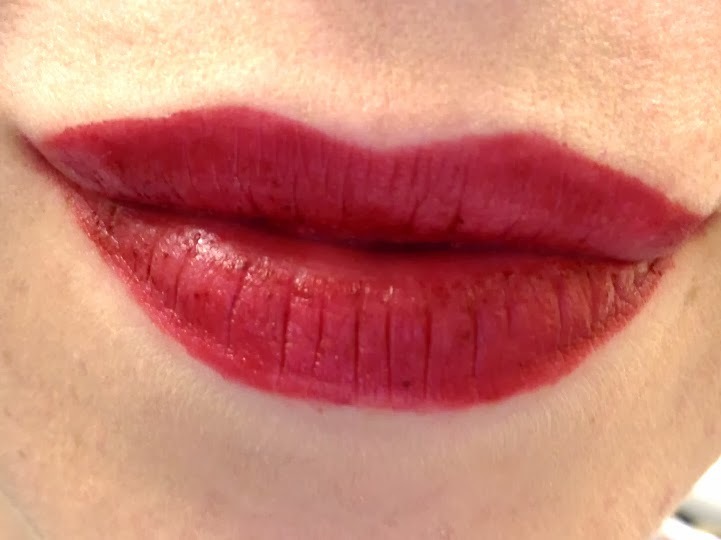 I can see some dead skin flaking up and there is a small amount of patchiness to the lipstick, but nothing astronomical and nothing that you would notice unless you were really, really, oddly close to my lips. I do, however, have two complaints about this lipstick and they're both rather small. The first is the smell, which I unfortunately hate. I don't quite know what this lipstick smells like, but it makes me think of something floral or old-lady esque. Chanel cosmetics smell like old lady rose perfume to me and this doesn't quite smell like that, but it's somewhere along the same lines. It's not overpowering though, so I can deal with that; I deal with Chanel's scent as well. The other thing is that this isn't the most moisturizing lipstick in the world and even though I put the Vasline down first, my lips were feeling a bit dry by the time I took the second set of photos. Burberry says that this lipstick is hydrating, but I think I'm going to call bull on that one. Final Verdict: I'd buy this again in a heart beat. I love the color and the staying power is awesome. Unfortunately, my dog attacked me shortly after and licked my lipstick off, but if he hadn't, I assume that this lipstick would have been fairly decent looking for a full 8 hours. And even if it couldn't perform that long, 5 1/2 hours including breakfast and lunch is pretty damn good. Yes, this lipstick is $30, but I think that this shade is fairly unique and the formula is good. 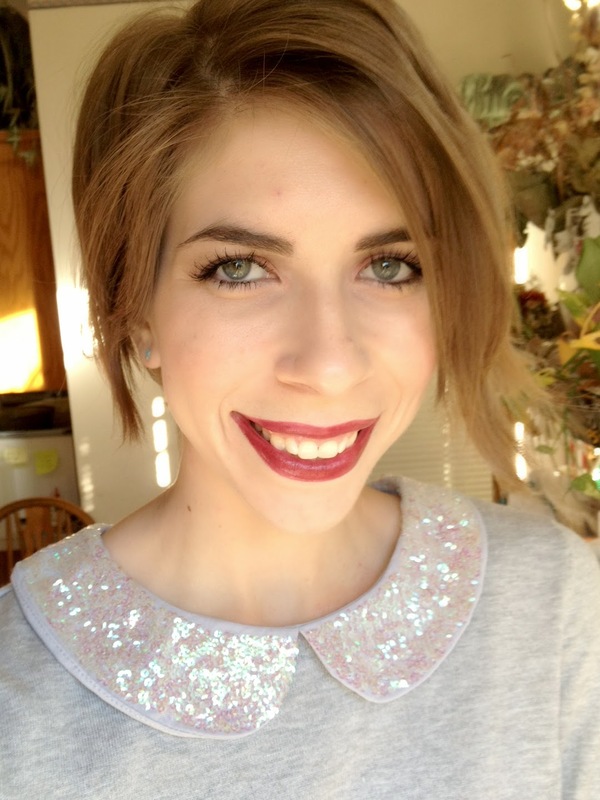 Buy it if you have the pennies and want a great fall lipstick!